Elmer Wheeler - Tested Sentences That Sell: When Wheeler said "The Sizzle Sells the Steak" - He knew it was true. When Wheeler said "The Sizzle Sells the Steak" - He knew it was true. 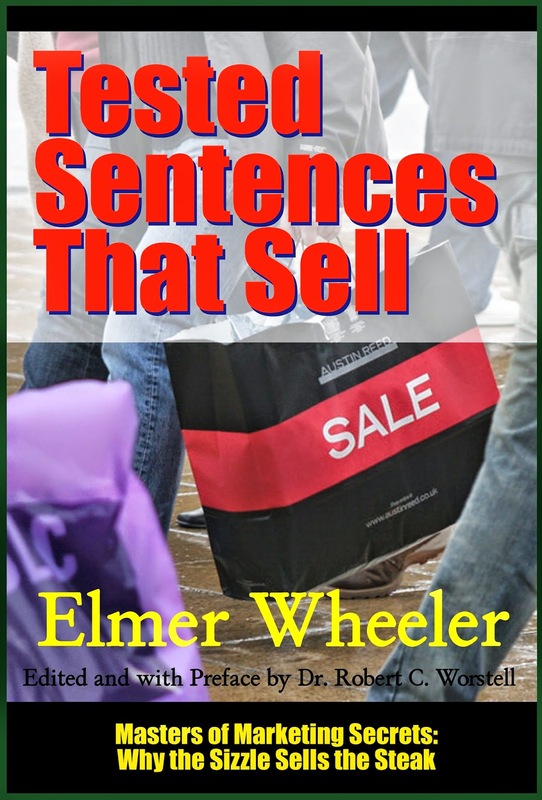 Elmer Wheeler's "Tested Sentences That Sell" is now available in a new ebook and paperback edition for your immediate use and study. Because you deserve to know how sales is really done in order to improve your advertising and promotion. Let's be real here - you can handle the truth. So someone needs to tell it to you. I don't have time for a full review, but do want to get some facts out here. 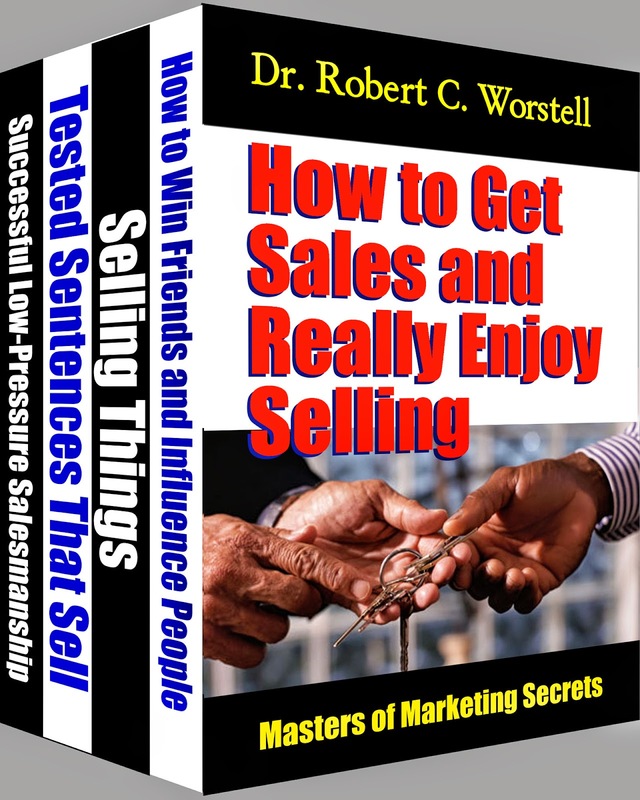 Most of the reason sales got a bad name is by people doing it who have no clue. 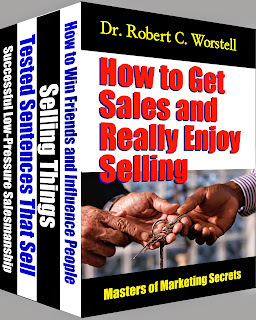 The only effective sales is done by people who have intensively studied what does and doesn't work. You can always "see farther by standing on the shoulders of giants." I am so tired of what passes for "Internet Marketing" that I could just spit. This is the reason I have never taken out ads myself - quite besides the fact that they cost money I don't like to waste. When my other studies of Albert Lasker and John E. Kennedy brought up the definition of advertising as "Salesmanship in Print" - I knew I had to find someone who could tell me what salesmanship was. So this book (and another by Dale Carnegie) surfaced to tell me again what we all needed to know. But I do have to get back to getting this ebook out to the other three distributors (just half left, I tell myself.) And then I can get back to telling you why someone who tests everything is better than a bunch of "guru's" who cross-promote each other's "special deals". To understand advertising, you need to understand salesmanship. Both are filled with mis-steps, gimmicks, and frauds. Advertising is widely understood to be “Salesmanship in Print.” Understanding what makes a successful salesman then gives you the basics of what will make successful ads. With this tested collection of solutions, any person is well on their way to understanding human nature and how to approach prospects in order that marketing becomes routinely effective. Only when a person knows to test and re-test everything they find will success show up. During 10 years of research, Wheeler tested over 105,000 words and phrases on more than 19 million people, resulting in the development of his “5 Wheeler Points”. These principles as powerful today as they were when this book was originally published in 1937. Even as things change, technology transforms, business evolves – human nature has stayed the same. Get your copy today and Master these secrets for yourself. New Bundle of Salesmanship Books Just Released! In order to understand marketing/copywriting, you have to understand selling, because "Advertising is Salesmanship in Print." There are basic reasons people buy anything. These have to do with their emotional makeup, their mental habits and behavioral instincts. The reasons for people doing anything haven't changed much in the last 10,000 years. So the classics which tell the most successful ways of selling are just as valid and workable now as the day they were written. These modern books are just another version of the same truths which have helped people buy goods back in the trade-route bazaars before history was ever written. This bundle consists of the true classics of selling which have consistently outperformed other systems based on pushy, high-pressure tactics which only alienate potential buyers. On the Internet now, there is a complete rejection of the "standard sales page." Search engines don't want to rank these as people don't want to find them. People spend outrageous amounts on ad-blockers. Social media sites will block and ban links to "salesy" pages. People don't want to be "sold." But people do want to buy - especially on the Internet. These four books explain who and how people are making sales happen both in person and online - even though they were all written before the Internet, and even before the personal computer. Because the classic truths which help people decide and act have never changed. You can know these now - and use them from here on out. Steak or Sizzle - What Are You Selling? The Sizzle vs The Steak: Are the Big Ticket Items Really Worth Your Media Dollars? How to build a story you can self-publish successfully. How to Be a Genius - and How to Live With the Fact.